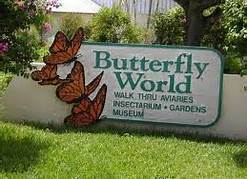 Since opening their door in 1988, Butterfly World has grown to be the largest butterfly facility in the world. People from all over have come to enjoy this spectacular display of butterflies of all shapes and colors. Soon upon entering, you will observe their research laboratory and actually notice the technicians working behind glass windows. You can also see hundreds of caterpillars growing and getting ready for their metamorphosis. All the butterflies are raised right here and you can see all the different stages in progress. Quite educational not only the children but for everyone. Once you leave the building, you will enter the most amazing outdoor area. The beauty of all the plants and the butterflies surround you and as you walk slowly through different sections of the garden, you may even have one of them land on you. There is no need to rush here and with the water fountains, waterfall and bridges, you can make your way all around and take in all the splendor. Several areas have benches inviting you to sit and relax while taking in all the pleasures of this beautiful and serene place. 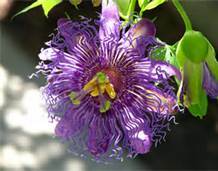 Passion vines are visible throughout as well as many other spectacular flowers. With lots of time, effort and proper planning, an abundance of plants and flowers, they have created the perfect environment for all the butterflies to thrive. 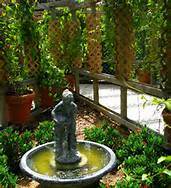 As you keep walking through the garden, you will come to an enclosure where birds are kept and fly all around you. For a few dollars, you can purchase cups filled with special food which will allow you to enjoy having parakeets and lorekeets feed from your hand which is always fun and popular with children. Great opportunity for pictures as well. Near the end of the garden is where you can stop by the outdoor cafe and take a break, get some food and drinks. 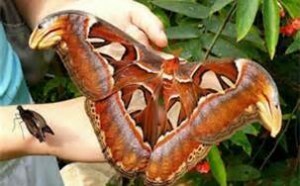 You can also purchase butterfly loving plants from the garden center. 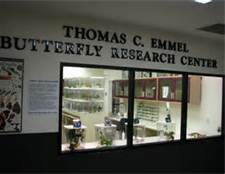 The gift shop has numerous items and a great selection of butterfly jewelry, books, seed packets as well as butterflies preserved in clear lucite to display on your walls.